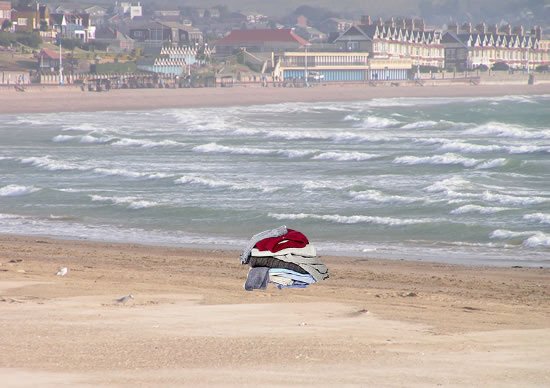 Fears grew for the safety of JB after his clothes were found on Weymouth beach, the scene of his high speed boat accident some weeks ago. JB has been quoted as saying that the beach held fond memories for him and he especially enjoyed the view on his last visit. Anyone with any information about JB are urged to contact Martin Robertson at the usual e-mail address. JB narrowly escaped death this morning whilst playing with his new ‘toy’. 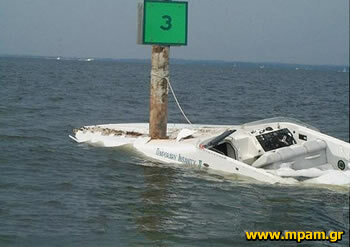 It emerged that he has had no guidance on how to control the superboat he won in the M-F League logo competition, and was last seen alone disappearing out of Weymouth Harbour, with the harbour-master yelling at him to slow down. Some 30 minutes later, in a sight so reminiscent of the Hornets attack, JB hit the post leaving the boat impaled on a marker bouy some three miles out of the harbour. 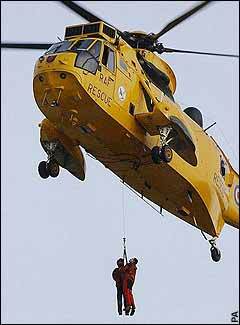 JB was thrown clear of the stricken craft and later picked up by the local air-sea rescue crew. After being admitted to hospital, Jane Marple drove down to visit him, only to find him walking out of the hospital doors. “Take me home babe.” Was all he said. The pair left in Jane’s Jaguar, with JB refusing to talk to reporters.